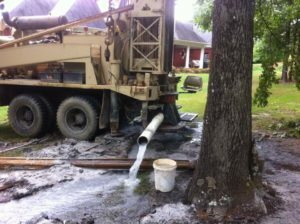 For 25 years Myhand Drilling Co. provided excellent service in the water well industry for the people of Alabama. My father, W.A. Myhand Jr. believed in hard work, accountability and fair treatment of customers. Today, I am committed to employ these same values with Myhand Services. Our method of clearing property, also known as Mulching, has proven to be the most effective way to meet these needs. Our mulching system eliminates the loading, hauling, piling or burning that is usually involved with land clearing. Instead, we do not disturb the topsoil, but we put mulch back on the ground that helps preserve it. Eliminating the need for erosion control methods. Depending on the size and scope of your project, the cost can be as low as $500.00 to clear your property. Contact us for a free estimate. 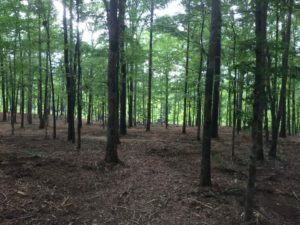 See some of our work below featuring land clearing, water well drilling, bobcat services, and more! Myhand Services proudly provides water well drilling and land clearing to the following areas. *If you're located in the Southeast, but your location isn't listed above, please contact us here. 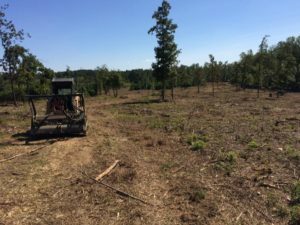 Myhand Services specializes in land clearing, bobcat work, and water well drilling. Myhand services the state of Alabama as well as many areas in the Southeastern region of the U.S. Contact us today! Copyright ©2011-2019 All rights reserved. | Design by BLP Media & Design.